Ready to party? 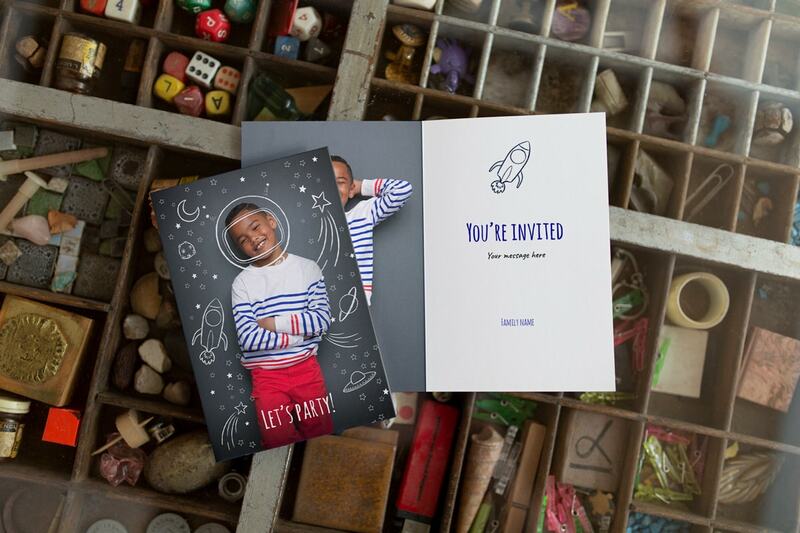 Whatever your occasion, whether it’s a birthday, your big day, or a baby shower, check out these invitation cards from bonusprint to get your guests prepped for party time. When you’re hosting the party of the year, you can impress your guests from the get-go with your invitations. 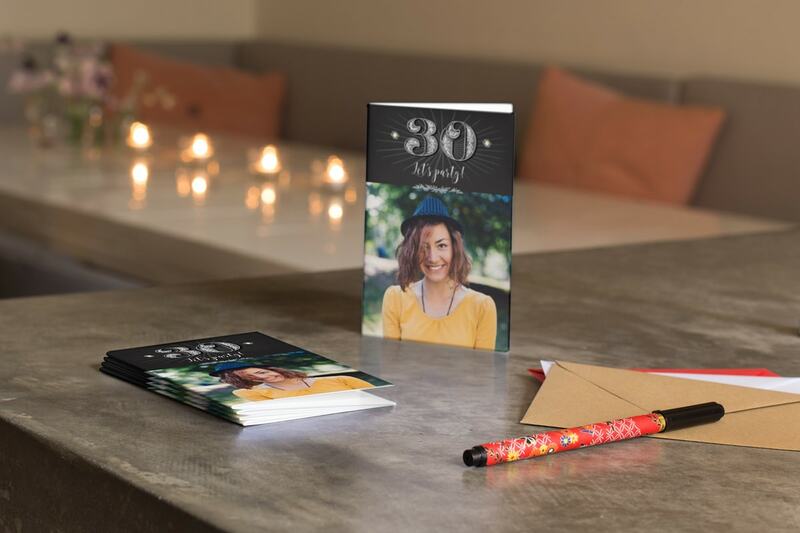 Whether you’re throwing a birthday bash for a milestone year or you’re planning your big day to rival a royal wedding, invites are the perfect way to set the tone for your event. Here’s some invitation inspiration to help you create customisable invitation cards from bonusprint that’ll get your guests in party mode, whatever the occasion. 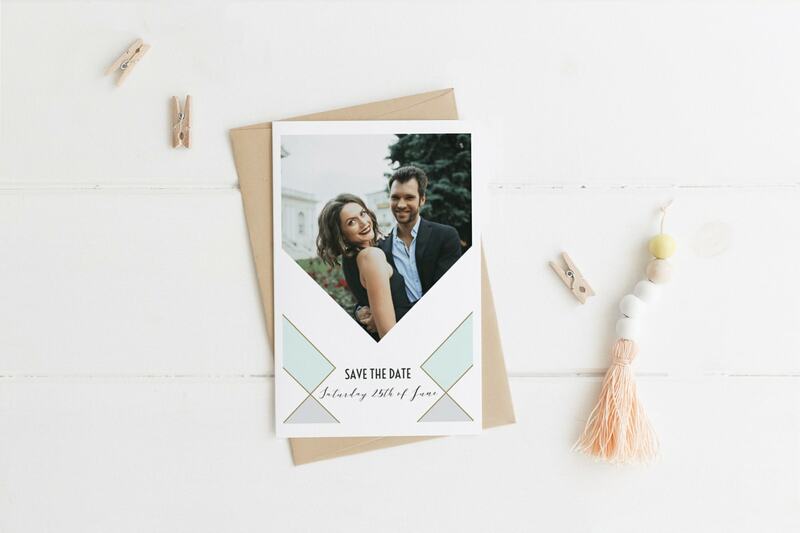 A DIY wedding is a great way of getting loads of personal touches into your special day, and you can start by creating your own save the dates and invitations. But don’t worry, you don’t have to start messing around with craft paper and a glue stick, you can make your own with our pre-designed wedding cards. Pick your design, add a photo of you and your soon-to-be other half, then start customising any way you like. If you’re not at tying the knot stage yet, but they’ve already popped the question, why not customise a wedding card so that it works for an engagement party invitation card instead? We’ve probably all missed the mark at some point when picking something out for the kids. If they’ve already got their own sense of style, why not get them involved in creating their communion invitation cards? 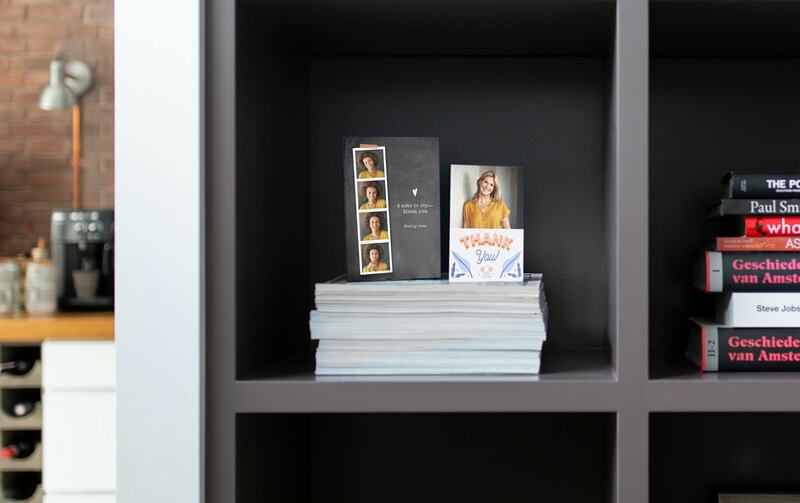 They can pick out a design from over 65 cards, upload their favourite photo to the front and add a personal message to create a custom communion card you know they’ll love. Birthday invitation cards are a doddle to make with our editors, and they’re easy to customise for a milestone birthday too. For a themed birthday bash, you can find a card to match – our 80s cards would be perfect for a throwback party for someone’s 40th – and then you can add their age to the front with clip art. From animals to astronauts, there are tonnes of pre-designed party invitation cards for your little ones. There’s a huge clip art library too, so if you fancy getting more creative with their birthday invites, you can get customising with creatures, colourful decorations, captions, and more for an extra dash of magic. After a big move, you’ll want to minimise stress, but you’ll still want to get everyone round to celebrate settling in. Our party cards are so simple to customise for a housewarming though, so there’s one thing off your plate. You can pick any design you like, even if it’s listed as a birthday card, because you can add your own messages and remove any text you don’t need. Whether you’ve got a bundle of joy on the way or you’ve just welcomed your little one into the world, there are loads of cute cards to choose from for baby. 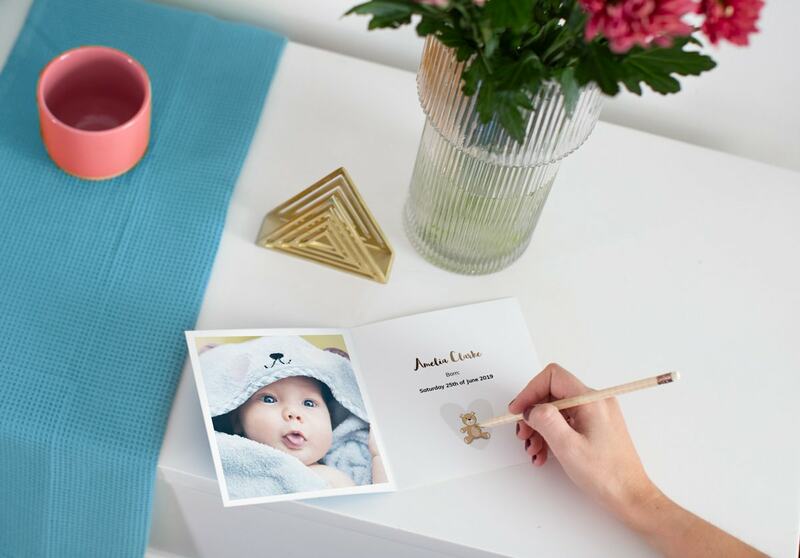 From baby shower invitation cards to announcement cards for their big arrival, you can personalise any of our adorable designs to suit the occasion. 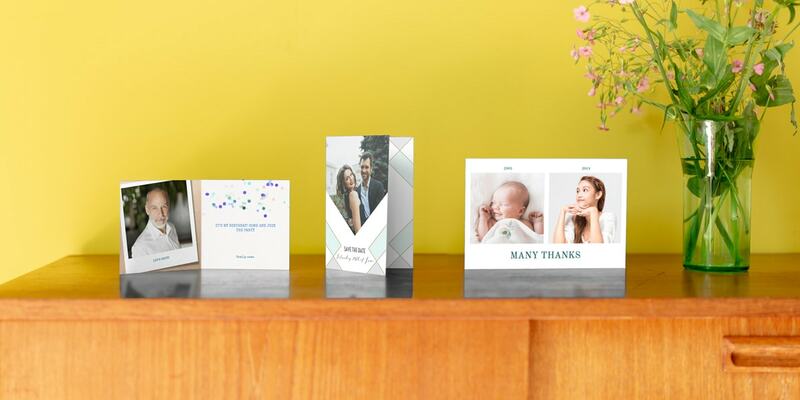 If you’ve got a christening planned for your new arrival, why not customise one of our baby announcement cards to use as a baptism invitation card to send to friends and family? You can thank your guests for coming to your party with personalised cards too. You can send out batches from the kids to say thanks for all their presents, thank all your baby shower guests for the gifts for baby, and show appreciation to your wedding party for sharing your special day with you. As well as customising your party cards, you can select the format and finish you like as well. You can go for flat or folded cards, and then you can choose the paper quality you want. 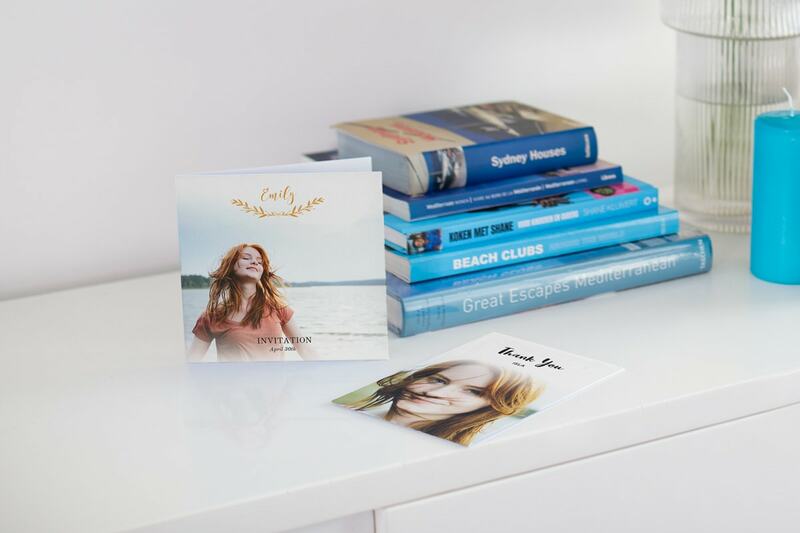 There are three types of premium card – gloss, matt, and extra matt – or you can choose between gloss or matt photo print cards. And if you’re feeling extra creative, you can design your own cards from scratch too. 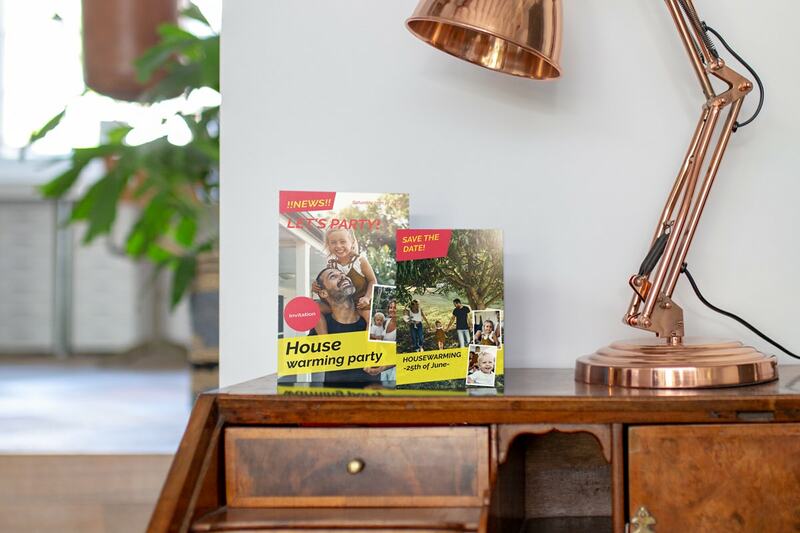 For more party card inspiration, take a look at our full range and start creating bonusprint invites and thank you cards for your next party.